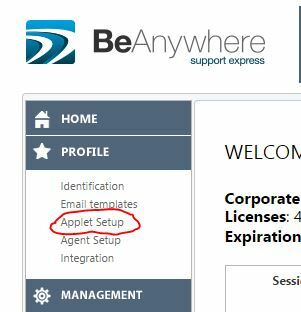 The excellent remote support platform BeAnywhere has some great features but one that didn’t work for us was the automatic text sent to customers by the remote support client saying “Please wait a few moments” if we didn’t type anything for 30 seconds. As this automatic text doesn’t appear for the technician, only for the user, we’d often be confused as to why the customer kept saying things like “Ok” and then “I am!” 30 seconds later. 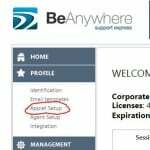 This default behavior can be disabled or customized however, via the Admin Area. 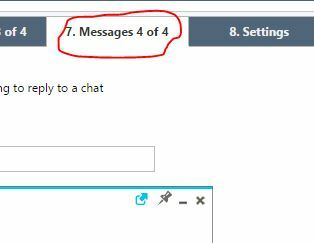 To disable the automatic message, simple delete the text in the Message text field. 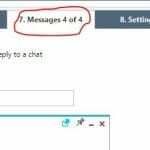 Alternatively you can set your own message by adjusting the Message text field and the ‘Timeout’ option, for example you could have a message that appears after 5 minutes saying ‘Sorry, I’m still working to resolve the issue – I’ll update you shortly’.